Ultra-running has grown exponentially over the past few years, with more amateur and professional runners than ever before. Year on year, the appeal of training and competing has become ever more popular. With thousands of ultra-marathon races happening across the world, a global audience of people are getting inspired to run the thousands of ultra-marathon events. But why do it? Of course, there is no single answer to this question, each individual runner will have a different set of goals, intentions and motivation. There are numerous reasons why people take up ultra-running. For many, like ultra-runner Johnathan Morrison, it has become a tool for turning past adversity into success and fulfillment. Johnathan Morrison is an Australian ultra-runner, campaigner and motivational speaker. My name is Johnathon Morrison. However, the majority of people know me as 'Jimmy', a nickname given to me during my 17 years service to the Australian Army. I currently live in Sydney, Australia with my partner Liz, also an ultra-runner. I would say my passions continue to grow and evolve as I do. Running has become a foundation in my life surpassing that of passion, so I guess I can't count that. I read, enjoy watching an episode or two of a new series and just focus on becoming a better person daily and then offer that light with others where I can. As a recovering alcoholic, I have learnt to find comfort in being alone without the feelings of loneliness. I enjoy that time to reflect, plan and ponder my direction and find the space allows me to clear my thoughts. It is probably the most important part of my lifestyle, independence. Johnathan pictured 2nd in, rear left during a survival course held in Arnhem Land, NT 2008 with the Australian Army. What is your motivation/inspiration for taking up ultra-running? Was it because of certain people in your life or events in the past? I felt I needed a goal or something to work towards after deciding to get sober on 27 Oct 2014. The plan was to find something hard enough to keep me interested and away from the drink of a weekend. I googled Australia’s toughest race and The North Face 100 (TNF100) appeared in the results. I set my focus on that and got owned by the event. My lack of knowledge, training and respect for the sport resulted in 16:40:00 of pain and hard-fought lessons learnt to complete the 100 kilometers. My goal time going in was sub 14 hours, rookie. After vowing to never do another ultra, I neglected to register for the following years race, now renamed the Ultra Trail Australia 100 (UTA100). No sooner had registrations closed I had become disappointed in myself for giving up so easy on my sub 14-hour goal. I contacted the race organizers and was put on a wait list for an opening. In January 2016 I received an email stating I had been given an opportunity to take a runner’s position and would I like to except. I paid my race fees, got a coach and trained like an athlete possessed. I returned and ran 12:03:00, from that point I was hooked on not just running and racing but the whole process. On your website, you say that becoming an ultra-runner has taught you valuable lessons. Could you explain this? Initially, I believe running is character building. The more you run, the more you delve deeper into the core of who you are and your potential. Not just as a runner but also a human. As you continue to pursue your goals and the body and mind adapt to the process you can't help but shift your perspective on life, your abilities and contribution. Relentless forward progress and respect the distance, be patient. Both will serve you well in life and running. 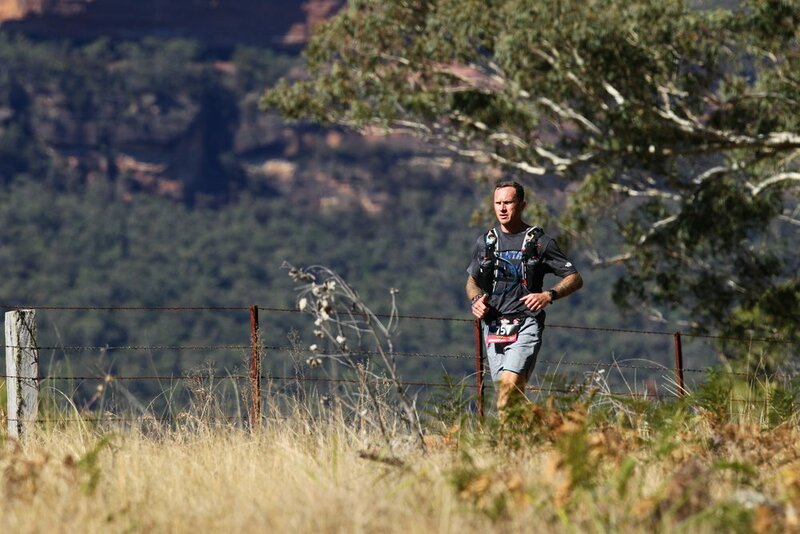 You have completed numerous events like the Ultra Trail Australia 100 and the Jungle Marathon in the Amazon. Could you tell us some stories or details on the ultra-marathons that you have completed? What has been the best event you have ran and why? I really do enjoy all events as I see them for what they are. A chance to put all that hard training into action. You can plan, strategize and go in 100%, however, nothing is ever guaranteed on the day and I like that. Everything you need for that race is all done prior to getting there. Race day should be a celebration, a release. Where is your favourite place to run and why is this? Are there any races in particular, you want to complete, or do again? I really enjoy running new trails. The experience of covering ground in a new location and making that connection to land is something else. I have a number of races I am eager to compete in, however, the Hardrock 100 is at the top of the list. What advice would you give to people who are completely new to ultra-running and the lifestyle that comes with it? Stay authentic, true to yourself. Endurance events are all about fighting those battles within and finding new pieces to this puzzle we call life. It is about you and your journey, no one else's. Lifestyle wise, head, heart, feet. Much like the way I found my first race TNF100, I googled toughest ultras in the world. The result, a list of Redbulls toughest 9. Like any sport, the hardest events are always debatable, however, I plan to complete the list and then continue onto those debatable one's post. The Jungle Marathon, Amazon was my first, 8 to go. Could you talk about your charitable work? How can endurance sports help others? The charity work I do is to remain accountable for my beliefs and actions. I did not want to be known as this person that talks about going to do something, or states things need to change but never does anything about it. I believe all children deserve the right to grow up free from harm and be given the opportunity to make their own choices, without fear of abuse. They require strong role models and mentors to achieve this and regardless of whether you have children or not, as men and women we have a responsibility to fulfill those roles and lead by example. I have been sober for over 3 years now and whilst going through that period of recovery found that it really is bigger than just me. Evolving from an egotistical, self-centered alcoholic to a man, shone a light on many things in my life that I had neglected or refused to acknowledge. Once I started to except my true self and regain that respect within, I found the peace with my past that I had been searching for. I started to forget the events of yesterday and focused that energy into becoming a better human being in the now. The key was to care less of what others thought of me and more about how they acted as a result of me. Finally, you are evidently a very inspirational character. What would your message be to someone who has gone through bad past experiences and is struggling in life? Be completely honest with yourself, how do I regain my quality of life and 'WHY' do I want to? Now except it and make the choice. Always remembering your 'WHY' when it gets tough, and it will. The only person that can change you is you. Stop denying yourself that honour. Recovery, contentment, self-respect, self-love, whatever it is you are looking for it can only be found by you, in you, from you. To find out more about Johnathan Morrison and his work, head over to his website www.soberstrides.com.